Cement is one of the most widely used materials in construction, but also one of the largest contributors to harmful carbon emissions, said to be responsible for around 7 per cent of annual global emissions. 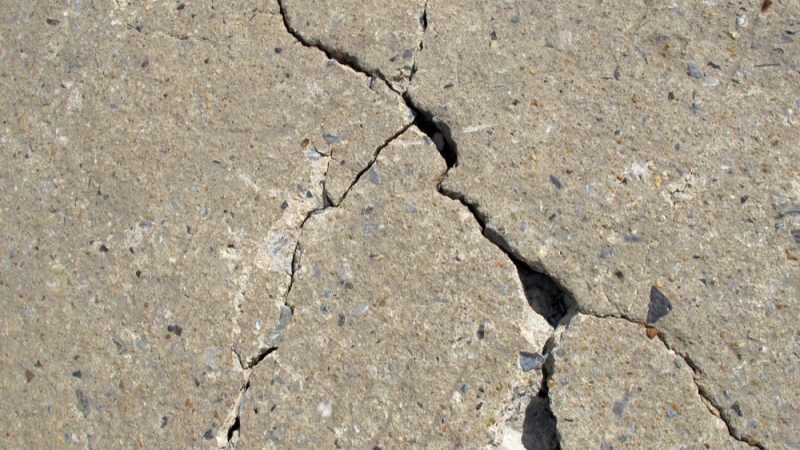 Cracking is a major problem in construction, usually caused by exposure to water and chemicals. Researchers at Bath University are looking to develop a self-healing concrete, using a mix containing bacteria within microcapsules, which will germinate when water enters a crack in the concrete to produce limestone, plugging the crack before water and oxygen has a chance to corrode the steel reinforcement. 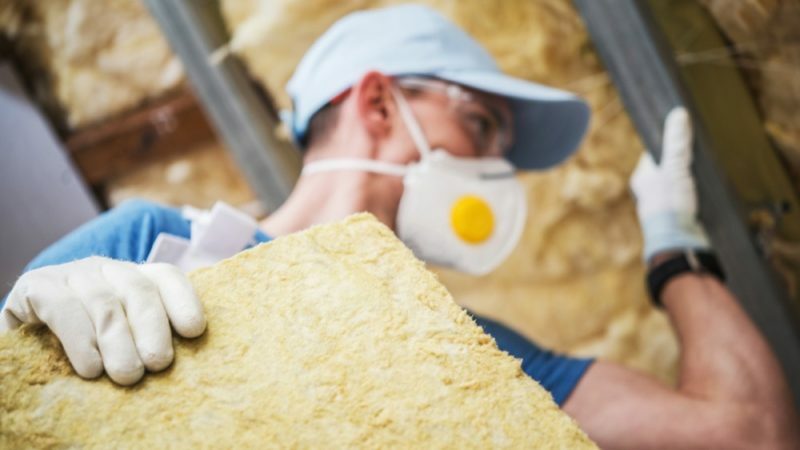 Efficient insulation material is becoming increasingly important throughout the construction industry. Heat transmission through walls tends to be passed directly through the building envelope, be it masonry, block or stud frame, to the internal fascia such as drywall. This process is known as “thermal bridging”. Aerogel, a technology developed by Nasa for cryogenic insulation, is considered one of the most effective thermal insulation materials and US spin-off Thermablok has adapted it using a proprietary aerogel in a fibreglass matrix. This can be used to insulate studs, which can reportedly increase overall wall R-value (an industry measure of thermal resistance) by more than 40 per cent. 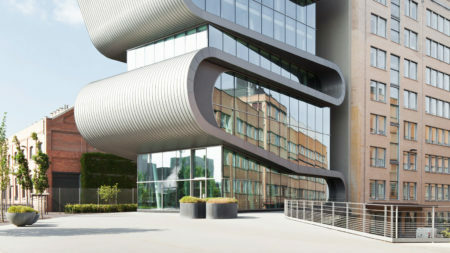 Building integrated photovoltaic (BIPV) glazing can help buildings generate their own electricity, by turning the whole building envelope into a solar panel. Companies such as Polysolar provide transparent photovoltaic glass as a structural building material, forming windows, façades and roofs. Polysolar’s technology is efficient at producing energy even on north-facing, vertical walls and its high performance at raised temperatures means it can be double glazed or insulated directly. 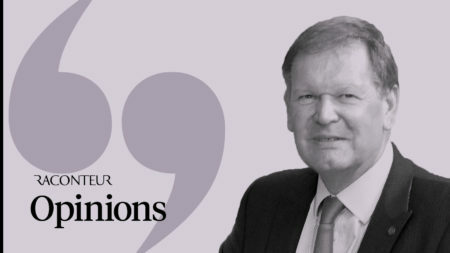 As well as saving on energy bills and earning feed-in tariff revenues, its cost is only marginal over traditional glass, since construction and framework costs remain, while cladding and shading system costs are replaced. Kinetic energy is another technology under development. Pavegen provides a technology that enables flooring to harness the energy of footsteps. 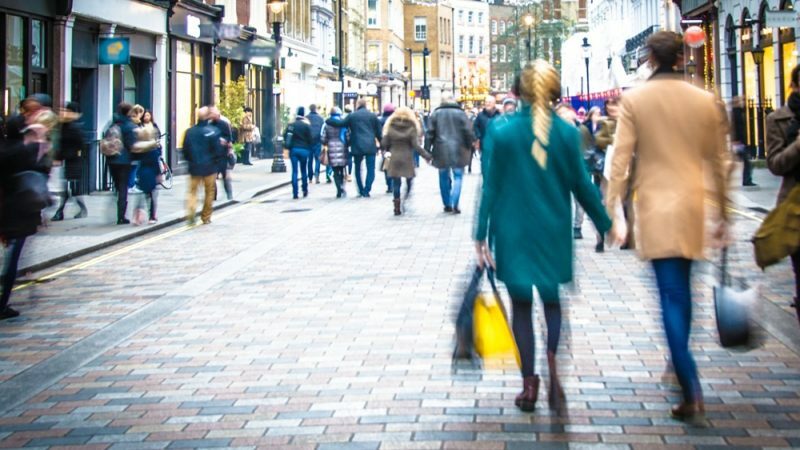 It can be used indoors or outdoors in high traffic areas, and generates electricity from pedestrian footfall using an electromagnetic induction process and flywheel energy storage. The technology is best suited to transport hubs where a large flow of people will pass over it. The largest deployment the company has done so far is in a football pitch in Rio de Janeiro to help power the floodlights around the pitch. It also currently has a temporary installation outside London’s Canary Wharf station powering street lights. Italian startup Underground Power is exploring the potential of kinetic energy in roadways. 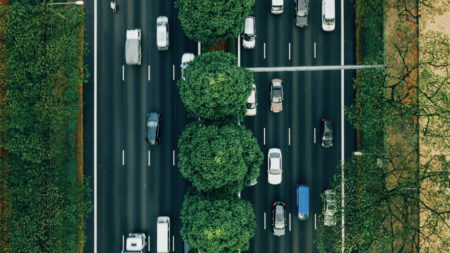 It has developed a technology called Lybra, a tyre-like rubber paving that converts the kinetic energy produced by moving vehicles into electrical energy. Developed in co-operation with the Polytechnic University of Milan, Lybra operates on the principle that a braking car dissipates kinetic energy. The cutting-edge technology is able to collect, convert this energy into electricity and pass it on to the electricity grid. 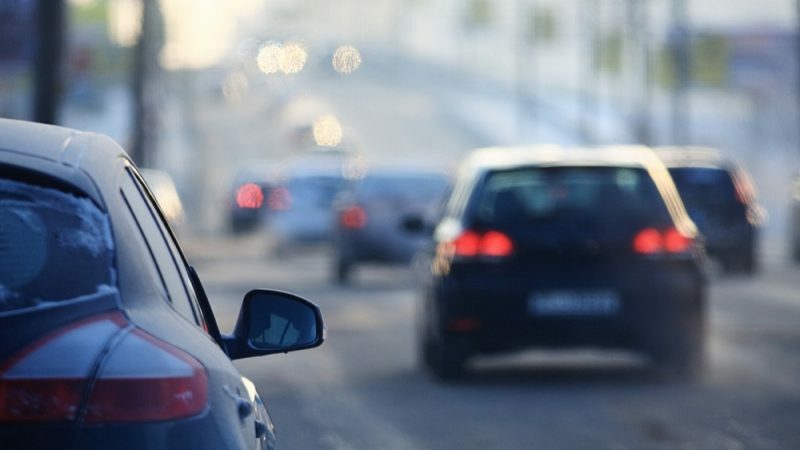 In addition to improving road safety, the device upgrades and promotes sustainability of road traffic. The structural integrity of any building is only as good as its individual parts. The way those parts fit together, along with the choice of materials and its specific site, all contribute to how the building will perform under normal, or extreme, conditions. Civil engineers need to integrate a vast number of pieces into building designs, while complying with increasingly demanding safety and government regulations. 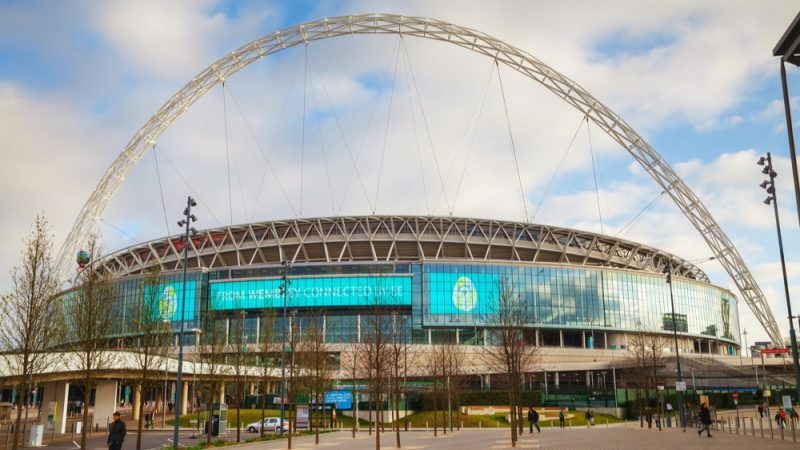 An example of this was work on the structural integrity of the arch rotation brackets at Wembley Stadium, undertaken by Bennett Associates, using ANSYS software, which simulated the stresses on the brackets that hold and move the distinctive arches above the stadium. 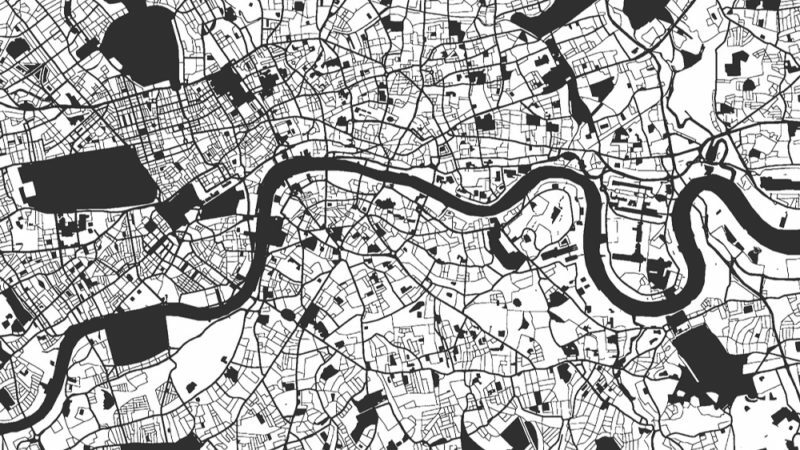 Planning innovation has been driven by the growth of smart cities. CyberCity3D (CC3D) is a geospatial-modelling innovator specialising in the production of smart 3D building models. It creates smart digital 3D buildings to help the architectural, engineering and construction sector visualise and communicate design and data with CC3D proprietary software. 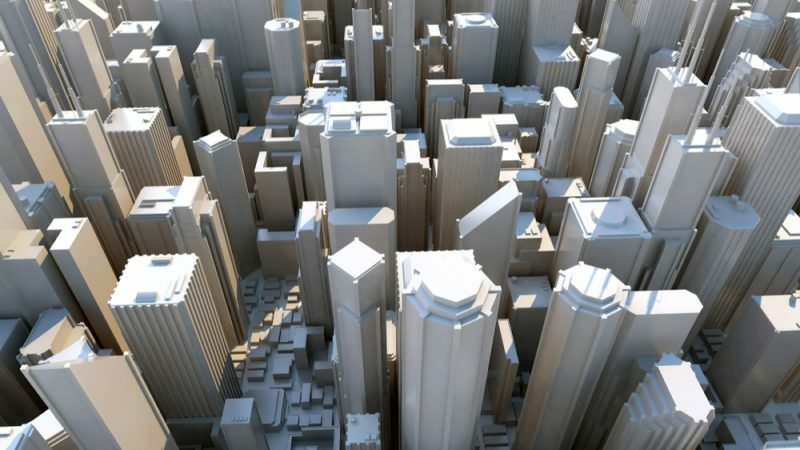 The models integrate with 3D geographic information system platforms, such as Autodesk and ESRI, and can stream 3D urban building data to Cesium’s open architecture virtual 3D globe. It provides data for urban, energy, sustainability and design planning, and works in conjunction with many smart city SaaS platforms such as Cityzenith. 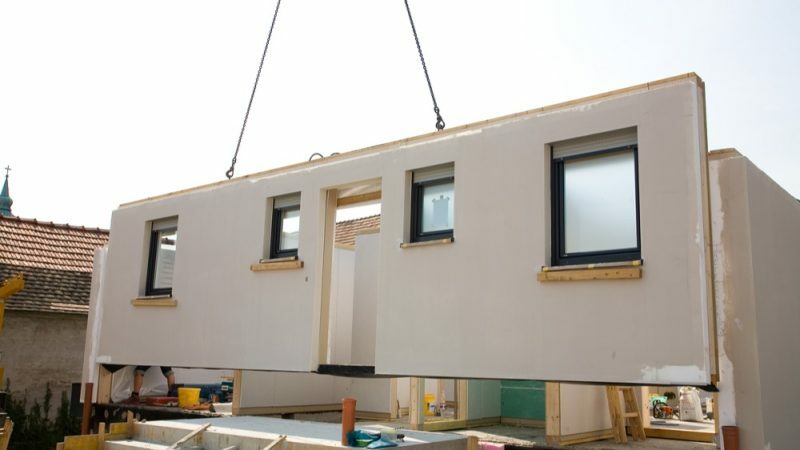 Modular construction is increasingly popular where a building is constructed off-site using the same materials and designed to the same standards as conventional on-site construction. It limits environmental disruption, delivering components as and when needed, and turning construction into a logistics exercise. It also has strong sustainability benefits, from fewer vehicle movements to less waste. With up to 70 per cent of a building produced as components, it allows a move towards “just in time” manufacturing and delivery. 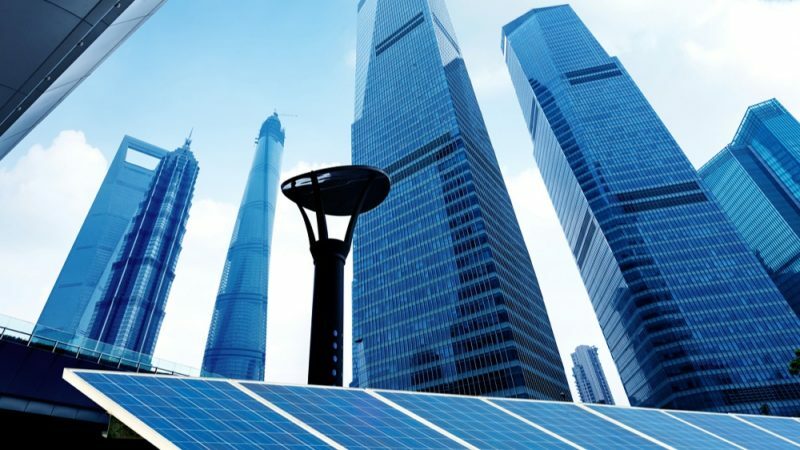 In use in the United States and UK, Chinese developer Broad Sustainable Building recently completed a 57-storey skyscraper in 19 working days using this method. basestone is a system allowing the remote sharing of data on a construction site in real time. 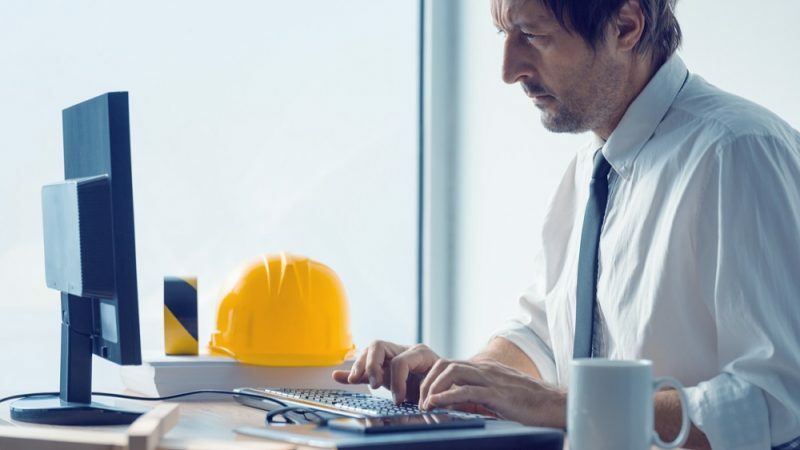 It is predominantly a review tool for engineers and architects which digitises the drawing review process on construction projects, and allows for better collaboration. The cloud-based collaboration tool is focused on the installation of everything from steel beams to light fittings. The system is used to add “snags”, issues that happen during construction, on to pdfs, then users can mark or add notes through basestone. Trials have revealed possible cost-savings of around 60 per cent compared with traditional paper-based review methods. Asset mapping focuses on operational equipment, including heating and air conditioning, lighting and security systems, collecting data from serial numbers, firmware, engineering notes of when it was installed and by whom, and combines the data in one place. The system can show engineers in real time on a map where the equipment needs to be installed and, once the assets are connected to the real-time system using the internet of things, these can be monitored via the web, app, and other remote devices and systems. It helps customers build databases of asset performance, which can assist in proactive building maintenance, and also reduce building procurement and insurance costs.